In a press release issued Feb. 19, Henderson Legal Services, Washington, D.C., announced the promotion of Gary Sharn to vice president in its sales organization. One of the most pressing issues facing the court reporting profession is certification and licensure. While 26 states have some form of mandatory certification and licensure for court reporters, NCRA’s home state of Virginia does not, and we worked to assist Virginia Court Reporters Association in their efforts to institute these requirements. Unfortunately the bill, SB 1441, did not pass out of committee and will no longer be considered this year. The state of Utah also had a bill introduced that deals with this issue. HB 278 repeals the original Certified Court Reporters Licensing Act and modifies requirements for licensure to requirements for an NCRA or NVRA certification. Introduced Feb. 5, this bill has not yet been heard in committee. 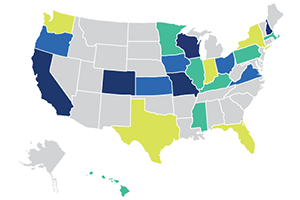 Some states are also exploring other avenues to establishing certification and licensure recognition. The state of Texas’ Judicial Branch Certification Commission is currently considering proposals made by Texas Court Reporters Association and Texas Deposition Reporters Association on how to make it easier for reporters to work in the state. 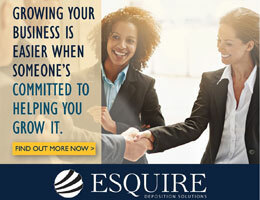 Another important issue gaining traction and severely affecting the court reporting profession is the issue of independent contractor classification. Last year, the California Supreme Court established a new “ABC test” for determining independent contractor classification in the Dynamex case. This test is now receiving debate in the nearby state of Washington, which has introduced HB 1515 to change the definition of independent contractor to include this test. This legislation, while meant to “level the playing field for employers who pay for workers’ living wages and benefits, and ensure that more workers have access to the wage and social insurance protections,” could have unintended consequences for freelance reporters’ ability to work in the state, which is why NCRA is working with the Washington Court Reporters Association to oppose it. The legislation has been heard multiple times in committee, but as of Feb. 6 has not been voted on for approval. Electronic recording continues to be a challenge that court reporters deal with at the state level. The state of Minnesota is considering legislation (SF 21) that would create a task force to evaluate the expanded use of electronic recording in court proceedings. Finally, some state legislatures are considering salary increases for official court reporters. Both Oklahoma and West Virginia have bills introduced that would provide annual salary increases for officials. NCRA is proud of the members, state leaders, and affiliated associations that are dedicating their time and effort to advance profession-friendly legislation in the states. We remain dedicated to supporting and assisting our state affiliates in their advocacy efforts, as we work together toward our common goal of protecting the court reporting profession and ensuring its longevity for generations to come. Remember, YOU are our best and most important advocate. 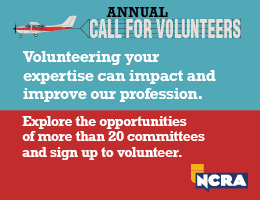 Without members like you reaching out to elected officials, dedicating your time to volunteering for your state association, and remaining engaged with NCRA and your state, the profession could not survive. But together, we can overcome any challenge we face. For more information on state legislation and NCRA’s advocacy efforts, contact Director of State Government Relations Matthew Barusch at mbarusch@ncra.org. Residents from Edmonds and Bellevue, Wash., who are hard of hearing are part of a class-action lawsuit against three major movie theater chains that do not offer closed captioning for their programming, according to an article posted Jan. 10 by Patch.com. Aptus Court Reporting, based in San Diego, Calif., announced in a press release issued April 12 that the company has opened an office in downtown Seattle, Wash. In January, Lori Rapozo, RPR, CRI, an instructor at Green River Community College in Auburn, Wash., brought several court reporting students to lead mock depositions during the Essential Lawyering Skills course at the Seattle University Law School. The mock depositions included swearing in the deponent and handling exhibits. Rapozo presented the Legal Education seminar Making the Record to the law students using the booklet provided by the National Court Reporters Foundation. NCRA member Ron Cook, RDR, CRR, CRC, a freelancer in Seattle, also provided a realtime demonstration for the law students. On Jan. 2, tri-cityherald.com posted an article about the retirement of NCRA members Lisa Lang, RMR, CRR, and John McLaughlin, both official court reporters from Pasco and Kenewick, Wash., respectively, and one of their colleagues. Together, the three reporters represented nearly 100 years of experience. MyEverettNews.com, Everett, Wash., posted an article Nov. 30 announcing that the city’s council and planning commission has added closed captioning to their broadcasts on a local government access channel. The realtime closed-captioning is being provided by a remote captioner. Naegeli Deposition and Trial, a court reporting firm headquartered in Portland, Ore., announced in a Nov. 15 press release that the company has received a number of high reviews on Google Plus for its Seattle location. An article posted May 11 by GraysHarborTalk, Montesano, Wash., features an interview with NCRA member Connie Church, RPR, CRR, CRC, a freelance reporter. She provides realtime services for people who are deaf and hard of hearing in her community in addition to reporting depositions and court proceedings. Court Reporting & Captioning Week has put a number of NCRA members in the media spotlight, sharing information with viewers and readers about the vast number of opportunities available in the field. Kicking off the week, Christine Phipps, RPR, owner of Phipps Reporting in West Palm Beach, Fla., was featured in a story aired by CBS affiliate channel 12, while NCRA Past President Nancy Varallo, RDR, CRR, owner of The Varallo Group in Worcester, Mass., joined NCRA member Kathy Silva, RPR, CRR, a freelancer from Andover, Mass., in a story that aired on Mass Appeal. Appearing in print on behalf of NCRA and the court reporting and captioning professions were NCRA members Donna Cascio, RDR, CMRS, an official court reporter from Somerset, Pa., who was interviewed by the Somerset Daily American, and Melanie Oldham, an official court reporter from Athens, Texas, who was interviewed by the Athens Daily Review. Additional coverage is expected to be generated throughout the week. NCRA President Steve Zinone, RPR, an official court reporter from Pittsfield, N.Y., joined Tonya Kaiser, RPR, CMRS, a freelance reporter from Fort Wayne and president of the Indiana Court Reporters Association; Susan Gee, RMR, CRR, a freelance reporter from Cincinnati and president-elect of the Ohio Court Reporters Association; and Kathy McHugh, RPR, CRR, a freelance reporter from Philadelphia and president of the Pennsylvania Court Reporters Association in a panel discussion at the College of Court Reporting, in Hobart, Ind., on Feb. 15. The discussion, which took place online via the college’s Blackboard Collaborate, was hosted by CCR President Jeff Moody. More than 30 participants joined the discussion to hear what the panelists had to say about the greatest challenges they faced in court reporting school and how they overcame them, as well as how they were motivated to become leaders within their associations, the benefits of membership at the state and local levels, and the importance of certification. The hour-long session was recorded and can be heard here. On Feb. 17, Zinone will visit Cuyahoga Community College in Cleveland, Ohio, where he will address students and faculty at the court reporting program. He is scheduled to deliver a keynote address at 2:30 p.m. ET which can be accessed via the college’s Smart TV channel online. Official proclamations recognizing 2016 Court Reporting & Captioning Week from state and local lawmakers continue to be reported. To date, the following states have reported official proclamations: California, Colorado, Florida, Illinois, Kentucky, New Hampshire, New York, Ohio, Oregon, Texas, Virginia, and Washington. Local proclamations have also been issued in Miami-Date County, Fla.; Johnson County, Kan.; Louisville, Ky.; Eugene, Ore.; and San Antonio, Texas. The New York State Court Reporters Association will host a variety of events during the week including meet and greets throughout the state. Members of the Texas Court Reporters Association are will host a number of Veterans History Project events throughout the state. 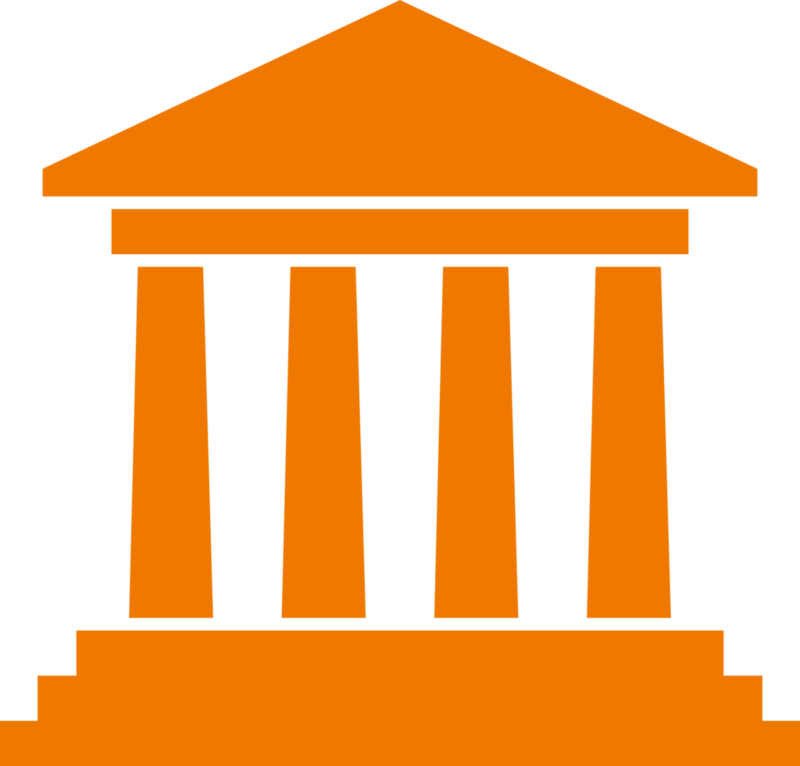 The Hawaii Court Reporters and Captioners Association has encouraged members to display the official 2016 Court Reporting & Captioning Week logo on their social media sites, hang posters at courthouses showcasing the event, and reach out to state and local lawmakers to remind them of the week. Members of the Oregon Court Reporters Association will participate in a number of meetings with lawmakers and advocacy groups to bring awareness to the court reporting and captioning professions. The Los Angeles County Court Reporters Association will host a social event for members at Santa Anita Park racetrack on Feb. 20. The Mississippi Court Reporters Association has posted a fun video on its YouTube page proclaiming the week and the love of court reporting and captioning. Watch here. For a complete list of activities happening to mark the 2016 Court Reporting & Captioning Week, visit NCRA.org/Awareness. For more information, visit NCRA.org. 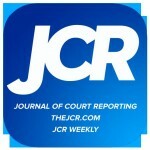 Career information about the court reporting profession — one of the leading career options that do not require a traditional four-year degree — can be found at crTakeNote.com.